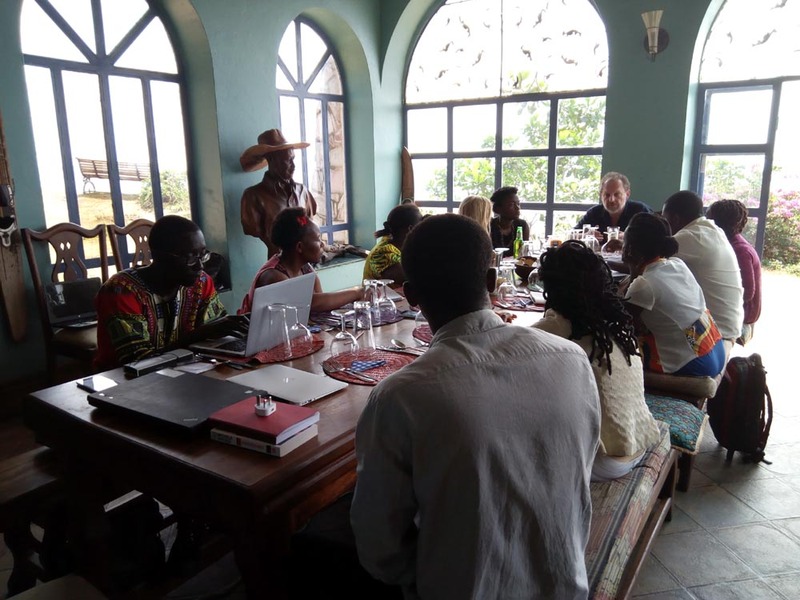 The Miles Morland Foundation hosted some of the hottest writers on the continent for a Creative writer’s workshop in Uganda on July 8-15, 2017. The workshop was hosted by Giles Foden and Michela Wrong. 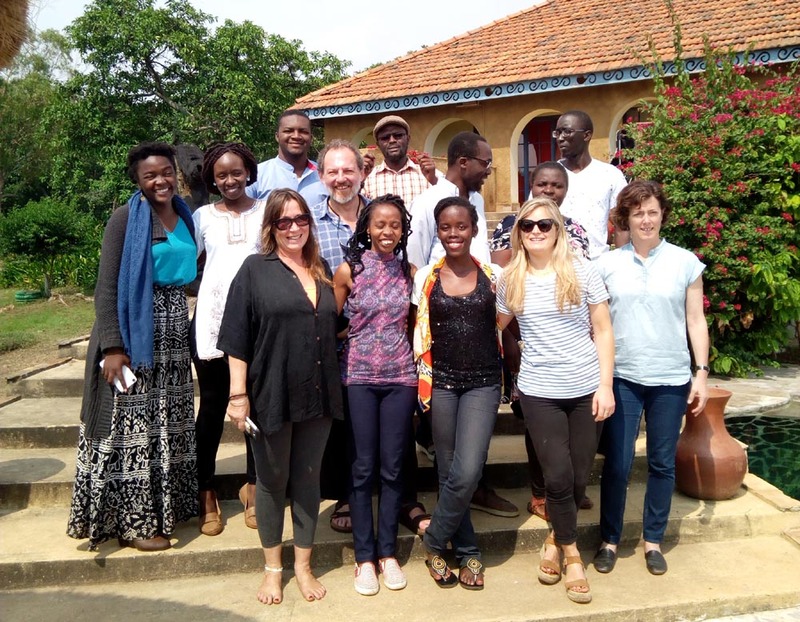 The Miles Morland Foundation has been known for its support of many artistic initiatives on the continent backing literary festivals and others up and down our beloved rock. 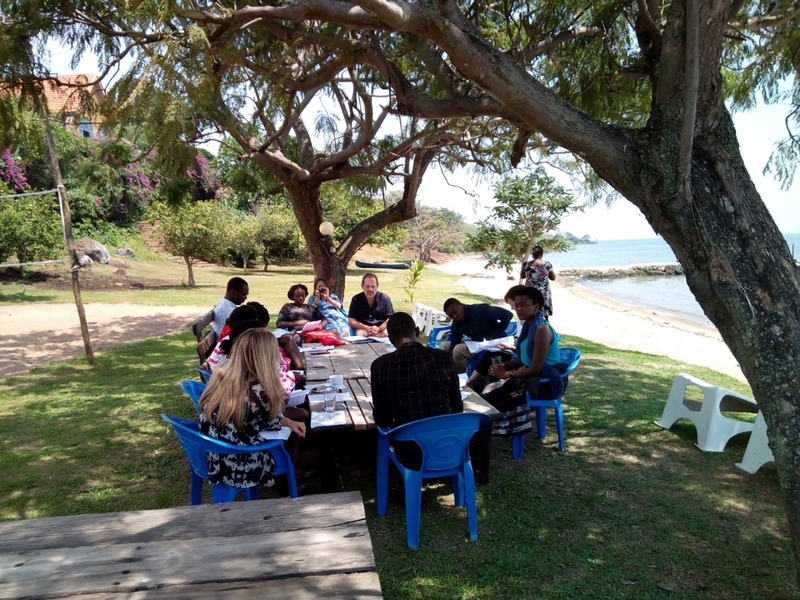 The team decided that they should support creative writing with a workshop at One Minute South, a resort on Bulago Island on Lake Victoria in Uganda. The workshop was run by two much decorated names starting with the literary director of the foundation Michela Wrong. Michela is the writer of three nonfiction titles In The Footsteps of Mr Kurtz (2000), I Didn’t Do It for You (2005) and It’s Our Turn To Eat (2009). The three books tell stories from Dr Congo, Eritrea and Kenya respectively. She followed her nonfiction with a foray into fiction with Borderlines (2016) a book focusing on the border dispute between two fictional African countries. Also conducting the workshop was Giles Foden who is well known to followers of the African literary scene. Every year the University of East Anglia profession hosts the winner of the Etisalat Prize, sorry 9mobile prize, to a fellowship at his college. He is also a formidable writer in his own right with many novels to his name like The Last King of Scotland (1998), Ladysmith (1999), Zanzibar 200, Mimi and Toutou Go Forth: The Bizarre Battle for Lake Tanganyika (2004), and Turbulence (2002). The first of these you will recognise as the book with Ugandan leader Idi Amin Dada that was made into an Oscar award winning film. The writers that they would be sharing their knowledge with were Troy Onyango, Alice Gichuru, Margaret Muthee, Abu Amirah, Acan Innocent Immaculate, Alexis Teyie, Gloria Mwaniga, Joe Aito, Regina Asinde, and Timothy Ogene. These are writers who have featured on lists like the Writivism Short Story Prize, Burt Awards, Burt Awards for Young Adult literature and the Nyanza Literary Festival. The week consisted of the writers doing writing exercises that ensured that they would be better writers.